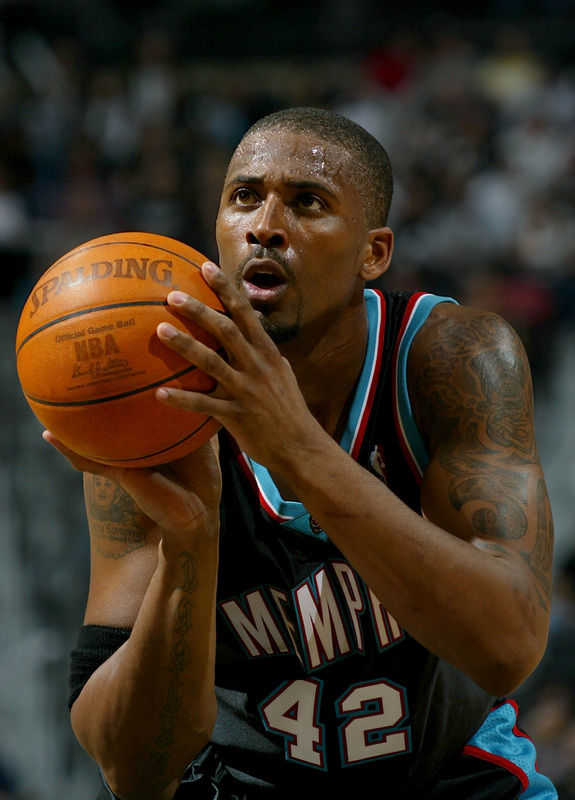 There are two things that are apparent about the murder of former NBA player Lorenzen Wright. One is that his death may have involved some very shady people. The other is that the police departments investigating his murder haven't done a good job so far. This week marks the one year anniversary of Wright's death in Memphis. On July 22nd, 2010, the former Grizzly was reported missing by his mother, Deborah Marion, and his decomposing body was found in a Memphis field on July 28th. On Wednesday, Marion filed a $2 million lawsuit against two of the suburban police departments (in Germantown and Collierville), accusing them of dragging their feet in her son's murder investigation. Here are some of her grievances. Wright's relatives and friends have complained a missing person's report wasn't taken seriously. It was 10 days before his body was found, complicating the investigation because evidence was left to deteriorate in a swampy field at the height of summer. A 911 call made from Wright's cell phone soon after he was last seen by his family was botched by dispatchers. A small reward of $6,000 — less than the $8,000 offered by a family and animal rights groups for a missing pit bull named Kapone — has yielded just 28 Crime Stoppers tips. So that's the "police are kind of messing this up" aspect. Here's the "shady people" aspect of Wright's murder. The last known person to see Wright before his death was his ex-wife, Sherra Wright, who claimed that she saw her ex-husband leaving her house with a "box full of drugs and money." Sherra said that Lorenzen was on the phone with someone, and she heard him say that he was going to "flip something" for $110,000. He then got into a car with an unidentified driver. Wright had been loosely associated with drug kingpin Craig Petties in the past, when in 2008, court documents showed that Wright sold a car to Bobby Cole, a member of Petties' gang. It is unknown whether Wright was aware of Cole's history. Marion also believes that her son's killers live in Memphis, and that her son's death was far from random. Wright had a house in Atlanta and spent time there, but his mother said she is certain the killer or killers are in Memphis and had a "vendetta" against her son: "They were just stone-cold killers."